The 500s building was part of the original campus, built in 1953. It originally contained the woodshop. 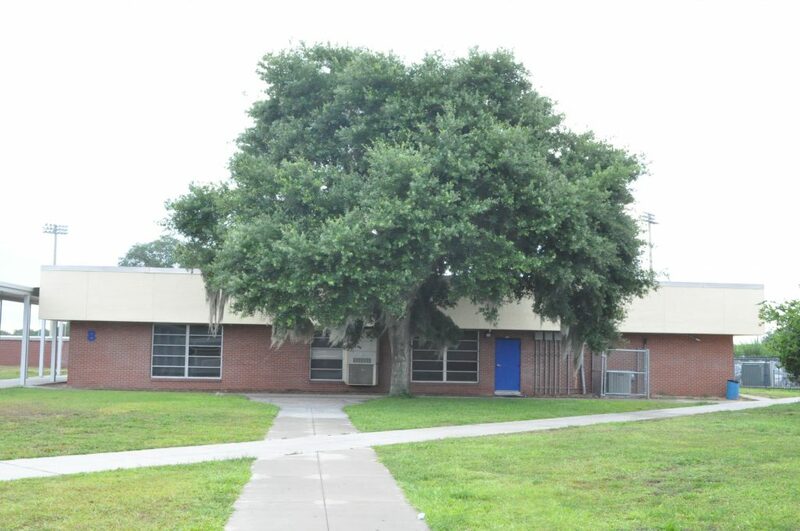 It underwent a remodel in 1983 when it was gutted and renovated to be used for work experience programs like Distributive Education; until that point those programs were being held at the remains of the old middle school and then the AHS cafeteria. Upon its additions, the building was described as having three co-op labs, two marketing labs, classrooms, a reference room, teacher offices, and six resource rooms. (Auburndale Star, 10/27/83) It was formerly known as the 50s hall; it has been the DECA/business building since. The back parking lot, 1985. Work on the 50s hall is visible at back right. DECA classroom, 1999. This is now the yearbook room.